In this week’s issue: CBS buys WLNY-TV – WBGO crosses the Hudson – Fox Sports returns to Pittsburgh – WBOQ plans North Shore move – WJJL “owner” files again – Did Cogeco spurn a Sherbrooke buyer? *Radio People (not) on the Move: Paul “Cubby” Bryant will remain in place in morning drive at Clear Channel’s WKTU (103.5) for five more years; he’s inked a contract with the Clear Channel rhythmic outlet that runs through 2016. Over at Cumulus, January 3 is the official start date for Geraldo Rivera’s new 10-noon show on WABC (770), and anyone who thought the show would be strictly local (not us!) will be disappointed – it already appears that Geraldo will also be heard on delay over sister station KABC in Los Angeles, with new affiliates sure to be announced soon. And continuing the “no surprise here” theme, former WABC PD Laurie Cantillo has taken the new gig that the rumor mill was expecting – she’ll become PD at Hubbard all-newser WTOP in Washington, just in time to face off against new competition from CBS Radio’s WNEW-FM (99.1). One more WABC note: the teenager convicted of killing former WABC newsman George Weber in 2009 will spend a long time behind bars. John Katehis was sentenced last week to 25 years to life after being convicted on the second try. *In the Albany market, WMHT’s AAA outlet, WEXT (97.7 Amsterdam), will be off the air all day Tuesday and maybe into Wednesday as well, but don’t panic – the station says the downtime will allow it to install a new antenna that should improve what’s been an iffy signal, and in the meantime WEXT will continue to be available through streaming audio and on WMHT’s 89.1-HD2 channel. *And we’re very sorry to hear the news from Nashville that Curt Boykin has died after suffering a stroke and seizure on Friday following some ongoing health problems. Rochester listeners in the 1980s and 1990s knew him as “Curt Monday” on the old WKLX (98.9, now WBZA) and then for many years as “Coyote Collins” on afternoon drive (and eventually in the PD chair) at WBEE-FM (92.5). Boykin later worked in Flint, Michigan at WFBE (95.1) and had recently been working at Nashville’s WSIX-FM (97.9). 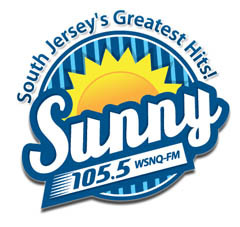 *And on the shore, Daniel “Sergeant Dan” Giannascoli moves up from weekends to middays at country WKMK (106.3 Eatontown)/WTHJ (106.5 Bass River Township). That shift was last occupied by Lexi Carter, who left over the summer. *While we’re north of Boston, we note that WFNX (101.7 Lynn) has a new morning host: “DJ W N0Name” joins Henry Santoro on the early shift there. In Boston proper, the legacy of WBCN (104.1, now WBMX) is about to be honored in a big way: former ‘BCN newsman Bill Lichtenstein used Kickstarter to help finance his planned documentary about the legendary rock station, “The American Revolution” – and upon hitting his $104,000 goal over the weekend, he says the movie is now one of the best-funded documentaries in Kickstarter history. Pledges are being taken here through midnight tonight, with some nifty gifts (dinner with Bill Lee! your own radio show with Charles Laquidara!) for big-ticket support. The film is slated for release in fall 2012. And out on the Cape and Islands, Stephen Colella is the new managing director of WCAI (90.1 Woods Hole)/WNAN (91.1 Nantucket)/WZAI (94.3 Brewster), WGBH’s public radio service for the region. Colella comes to the public stations from Cape Cod Broadcasting, where he was sales director; at his new job, he’ll also oversee underwriting for WJMF (88.7 Smithfield RI), the Bryant University station now being programmed by WGBH. *Some new signals on the air in MAINE: on Wednesday afternoon at 4:55, WMPG (90.9 Gorham) turned on its new signal from Blackstrap Hill in Falmouth, taking the station from 1 kW/233′ to an eventual 4.5 kW/640′ DA and significantly improving the community station’s coverage of southern Maine. 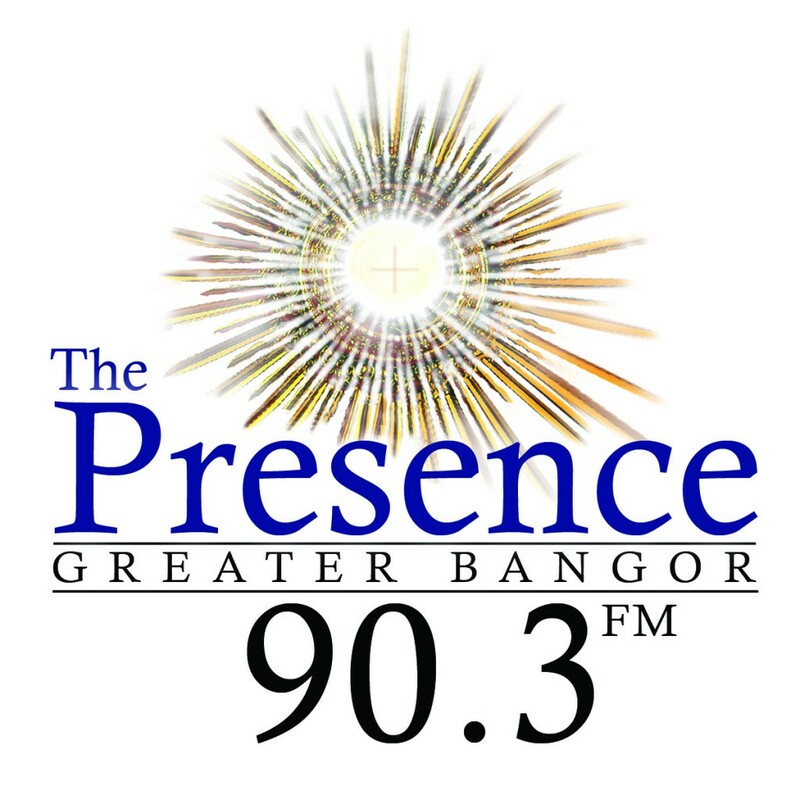 Northwest of Bangor, the Presence Radio Network is now on the air with Catholic programming, via new WXBP (90.3 Corinth), the latest relay of WXTP-FM (106.7 North Windham/Portland). And in Brunswick, Jim Bleikamp’s dream of returning WCME (900) to the air as a local commercial voice are getting closer to fruition. He’s already received local zoning approval to put a new 199-foot tower up at a site along Old Portland Road, and now he’s filed an application with the FCC to move the station from its old location (the tower of former FM sister station WCLZ 98.9) to the new site. WCME’s power would drop from the currently-licensed 1000 watts day/66 watts night to 700 watts day/26 watts night from the new location, still giving the station plenty of coverage of its target audience in Brunswick and vicinity. *VERMONT‘s commercial classical station made its move up to Mount Mansfield right on schedule Friday afternoon. Fittingly for Radio Vermont’s WCVT (101.7 Stowe), the switch was thrown at 1:01 PM, and there are already reports of significantly improved reception all over the northern half of the Green Mountain State. *In CONNECTICUT, they’re mourning Pasquale V. “Pat” Uliano, who was the chief engineer of WICC (600 Bridgeport) in the 1950s and 1960s. Uliano retired in 1969, spent some time living in St. Croix, U.S. Virgin Islands, and eventually ended up in a nursing home in New Jersey, where he died November 8 at age 95. Jeff Weber is departing WGCH (1490 Greenwich), exiting after ten years as executive vice president of parent company Blue Star Media, where he remains a minority owner. And up in Torrington, WAPJ (89.9) is running automated holiday music for a few days while it renovates its Water Street studio. The community station recently changed hands, and new licensee Torrington Community Radio Foundation is helmed by none other than longtime Hartford engineer and broadcast historian John Ramsey, who’s working on revamping the studios in anticipation of a grand re-opening early in January. *The week’s news from PENNSYLVANIA is all out of Pittsburgh and vicinity, starting at the bottom of the dial, where Birach Broadcasting is getting ready to launch a new sports format on WWCS (540 Canonsburg). That’s the facility that used to be home to Radio Disney before the Mouse migrated to its own signal, WDDZ (1250)…which used to be ESPN Radio affiliate WEAE before ESPN moved to Clear Channel’s WBGG (970)…which used to have Fox Sports…which will provide most of the programming on the new “Fox Sports 540,” which will also carry the syndicated Dan Patrick and Jim Rome shows. Since Disney moved to 1250 a year ago, 540 has been carrying a rebroadcast of Birach’s Spanish-language WSDS (1480) from Michigan. Over at public station WESA (90.5 Pittsburgh), Paul Guggenheimer has been named as the host of a new weekday talk show, “Essential Pittsburgh.” Guggenheimer has been working with South Dakota Public Radio, but he’s a Pittsburgh native, unlike much of the WESA staff. No start date has been announced for the new show, which will air live from noon-1 PM weekdays and repeat from 8-9 PM. Tim Martz’ urban station, WAMO (660 Wilkinsburg and translator W261AX 100.1), has lost its PD. Tim Shelton was on the air during morning drive as “Tim Steele” as well as programming the station; no replacement has been named. *Veteran newsman Hank Baughman has retired from Renda Broadcasting, reports PBRTV.com; he’d been on WSHH (99.7) for almost 25 years and had lately been heard on WJAS (1320) and WHJB (107.1 Greensburg). Promotions director/WJAS afternoon jock Chris Shovlin is covering morning news duties as well. And we’re sending our best wishes down to Texas, where veteran Pittsburgh jock Chuck Brinkman is on the mend after his car was T-boned in a Friday accident. Brinkman suffered broken ribs, a bruised kidney and shattered his pelvis and hip. *Radio People on the Move: Kath Thompson moves east to Toronto to take over as program director at Rogers’ CHFI (98.1), where she takes the reins from Julie Adam, who programmed CHFI for eight years before becoming Rogers’ national PD. Thompson’s most recent PD job was at Calgary’s CIUP (99.3). Down the hall, the sports duo of Tim Micallef and Sid Seixeiro have taken their act from Score TV to CJCL (Sportsnet 590 the FAN), where they’re now heard weekdays from 1-4 PM. Over at Corus’ CFRB (Newstalk 1010), Kym Geddes is the new news director, moving across town after 13 years doing news at CHUM-FM (104.5). *In Windsor, Neeti P. Ray thinks he’s found a frequency for the ethnic station he was granted back in 2008. Ray had applied for 95.9, but that channel went to country outlet CJWF and Ray was directed to find a different channel. None was available right away, but now that the CBC has moved CBE (1550) to a full-power FM signal, CBEW (97.5), it has abandoned its original plan to build a “nested” FM signal on 102.3 – and that leaves 102.3 open for Ray’s station. He’s hoping to run 1.9 kW (5 kW max DA)/55.5 m with the new signal. And in Sherbrooke, Groupe TVA is crying foul over Cogeco’s shutdown of CJTS (104.5). While Cogeco had claimed that the “Souvenirs Garantis” outlet didn’t attract a buyer after the CRTC ordered it to be spun off, the QMI news agency (owned, like TVA, by media giant Quebecor) says TVA indeed submitted a bid to acquire the station, which would have been its first radio holding. Cogeco, for its part, is sticking to its statement that no bids were received that met its terms, though a spokesperson says TVA is welcome to reapply for the license and rehire the 12 CJTS employees fired during the shutdown. The NERW Bookshelf in recent months has been primarily filled with products from one publisher: South Carolina-based Arcadia Publishing. That firm has been putting out literally thousands of new volumes a year on every aspect of local history from coast to coast, and they’ve been aggressively developing radio titles – and good ones, at that. 2011 saw the release of our good friend Dr. Donna Halper’s Boston Radio, 1920-2010, and if you still don’t have a copy and you care at all about radio in New England, what are you waiting for? Even within the limitations of Arcadia’s formula, which restricts the book’s length and emphasizes images over text, Donna has done a masterful job of capturing the key moments in the long history of Boston broadcasting, and her book is a must-read. Two more Arcadia titles this year also featured radio, and while we haven’t read either one yet (a hint for last-minute gift-givers in the Fybush family? ), we know that former Clear Channel chief engineer Tim Portzline is the authority on Harrisburg broadcasting history, so we’re pretty sure his new Harrisburg Broadcasting is as good as it gets if you want to know all about WTPA-TV and WCMB and such. And we contributed at least one photo to Alan Boris’ Philadelphia Radio, so we’re looking forward to seeing that one as well. Away from Arcadia, there’s one more tantalizing title on our holiday wish list. It’s not quite out yet, but WBEN news director Steve Cichon’s Irv! 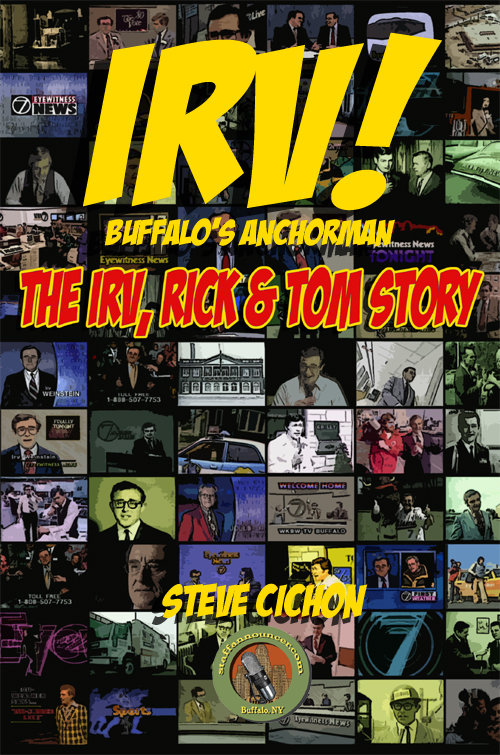 Buffalo’s Anchorman: The Irv, Tom and Rick Story is available for pre-order from Steve’s StaffAnnouncer.com site, and given Steve’s passion for the history of Buffalo local TV and the colorful story of the meteoric rise of the star anchor team at WKBW-TV, this one’s bound to be a must-read. And of course there’s one more must-have radio gift for the holidays. If you still don’t have Tower Site Calendar 2012, it’s not too late! We’ll be shipping calendars every day this week, so if you get your order in on Monday and you’re in the continental U.S., you should have yours in hand by Christmas. Even if you’ve already got the 2012 edition, come check out our new store – we’ve uncovered a small stash of some rare older calendars and some other goodies, too. Happy Chanukah and Merry Christmas from all of us here at NERW – and we’ll see you in this space next week with our Year in Review! NEW JERSEY‘s Atlantic Broadcasting is expected to file for bankruptcy early this week, turning the page on a troubled chapter in the history of the Atlantic City station cluster that began in the summer of 2008 when several local radio people got together to buy the three FMs (WTKU 98.3, WJSE 102.7 – now WWAC, WMGM 103.7) and two AMs (WOND 1400 and WTAA 1490, now WBSS) that had belonged to Access.1 Communications, and to Howard Green before that. Despite some savvy programming and technical moves, shifting the 102.7 signal into the heart of the Atlantic City market and flipping it from modern rock to top 40, the cluster sailed into stormy weather. The stalled economy that made the $9.5 million purchase price look untenably high, and it was soon exacerbated by a series of legal problems, including the arrest of former PD and Atlantic partner Brett Denafo on charges that he stole nearly $175,000 from the stations through fraudulent use of a station credit card and the sale of airtime for which Atlantic never received payment. With some $6 million still owed to Sun Bank, the local bank that financed the purchase back in 2008, we’re hearing things have gotten ugly at Atlantic’s headquarters in suburban Linwood: the stations were reportedly running largely automated last week, and we’re told Atlantic failed to make payroll on Wednesday and that few employees were seen at the building for the rest of the week. Former sister station WMGM-TV (Channel 40), which rents office space from Atlantic at the building they share in Linwood, reportedly had to pick up Atlantic’s portion of the salary of two shared employees, including the stations’ receptionist. It’s an unfortunate situation all around; here’s hoping the bankruptcy – if and when it occurs – will at least allow the stations to get back on an even keel under new ownership in the new year. MIDWEEK UPDATE: Atlantic’s bankruptcy filing indeed went through on Monday, with the company listing debts of between $1 million and $10 million and asking to be allowed to continue operating while it seeks to sell its stations; a hearing is set for January 20. Clear Channel’s end-of-the-year cutbacks included one veteran NEW YORK air personality: “Goumba Johnny” Sialiano is gone from WKTU (103.5 Lake Success), telling FishbowlNY’s Jerry Barmash that he was offered a new contract at a “tremendous cut” in pay. Sialiano started with WKTU 15 years ago as a sidekick to Sean “Hollywood” Hamilton, and the duo stuck it out at the station through several shift changes, moving from afternoons to mornings and then back to afternoons, where Hamilton is now solo while Goumba Johnny looks for a new gig. The tension between local TV stations and cable companies reached a boiling point over the weekend in Utica, where negotiations between Smith Media and Time Warner Cable broke down and Smith’s NBC affiliate WKTV (Channel 2) was pulled from the cable lineup, along with its CW subchannel. But Time Warner Cable (which continued to feed WKTV to viewers in the Rome area under a separate retransmission deal) didn’t deprive its customers of NBC programming: instead of the local WKTV, viewers found Nexstar’s WBRE (Channel 28) from Wilkes-Barre, Pennsylvania on their cable. In Smith’s other northeast market, Burlington/Plattsburgh, Time Warner pulled in – ironically enough – Nexstar-operated WUTR from Utica to replace Smith’s ABC affiliate WVNY-TV on cable for viewers in the Malone, Lake Placid and Port Henry areas, while Watertown’s WNYF replaced Smith-operated Fox affiliate WFFF on cable. Sook then upped the ante with a letter asking the mayor of Utica to “REVOKE” (yes, in all-caps) Time Warner’s local franchise rights; the mayor tells the Observer-Dispatch that would be a matter for the City Council to consider. Connoisseurs of irony who aren’t sufficiently sated by Nexstar’s multiple roles in this particular kerfuffle might want to consider one more wrinkle in the dispute: the Utica cable system that’s at the heart of the conflict came to Time Warner from Adelphia, which inherited it from Harron – which owned WKTV from 1980 to 1992, during which time we’re quite certain there was never any question about being able to see the station on cable! Back in the days when WEEI was an all-news station, the Patriots were the laughingstock of the NFL and the Bruins and Celtics were the top teams in town, Eddie Andelman all but defined sports talk in eastern MASSACHUSETTS. Next Sunday, Andelman’s forty-year run on Boston sports radio will come to an end when he hosts his last “Sports Huddle” show on WTKK (96.9 Boston), a broadcast he says will be the last of his long career. As younger talkers began to take the spotlight at WEEI, Andelman and the station parted ways in 2001, and recent years found him in less-visible spots on the dial, first on WWZN (1510) and later on in his current Sunday-evening slot on WTKK. And now, after what by his count were more than 10,000 shows, Andelman is calling it quits. The Andelman name, however, will live on in Boston media, thanks to his sons, David, Michael and Dan, who operate the “Phantom Gourmet” franchise that now stretches across radio, TV and the web. There’s a station sale in western PENNSYLVANIA – but we don’t believe well-known border broadcaster Tim Martz is paying $290,000 for WPYT (660 Wilkinsburg) just because he wants an AM daytimer that covers most of the Pittsburgh market. Martz’ plans for the station include an FM translator as well: he has a pending application to move W261AX (100.1) from Oakdale, west of Pittsburgh, to the KDKA-TV tower in the city’s North Hills, where it would run 99 watts. What will Martz do with the 660/100.1 combo? We know that the previous would-be purchaser of WPYT, veteran broadcaster Eddie Edwards, planned to go urban with the station before his health problems derailed that proposed $450,000 purchase from Alex Langer. In CANADA, Cogeco has won the CRTC’s permission to build a Montreal station cluster that’s larger than the rules would normally allow. Cogeco’s purchase of Corus Radio’s Quebec holdings will add four Montreal stations – sports-talk CKAC 730, English-language AC CFQR 92.5, rocker CKOI 96.9 and talker CHMP 98.5 – to Cogeco’s existing CFGL (105.7 Rhythme FM), which will give Cogeco three French-language FMs, one more than the usual cap. Cogeco told the CRTC that it needed three signals to be competitive on the Montreal FM dial. In Sherbrooke, Cogeco hoped to be allowed to keep CKOY (104.5) by turning the signal from an originating broadcaster into a relay transmitter of CKAC, but the CRTC denied that application, ordering Cogeco to sell CKOY, as well as CJEC in Quebec City and CFEL in Montmagny. As Clear Channel prepares to transition to private ownership, it’s quietly putting one of its biggest NEW YORK stations on the market. WALK-FM (97.5 Patchogue) came into what would become Clear Channel in October 1994, when Chancellor Media bought the station (and its sister station, WALK 1370) as part of its acquisition of American Media. As Chancellor evolved into AMFM and ultimately into Clear Channel, WALK became a Long Island sister station to Clear Channel’s five-FM cluster in New York City, eventually sharing much of its management with the New York cluster. Under the old multiple-ownership rules, that combination of station was acceptable, since WALK-FM’s Suffolk County-based signal didn’t overlap primary contours with the New York FMs. But under the current ownership rules, which are based on Arbitron markets, there’s a problem: while WALK-FM is in the “Nassau/Suffolk” market, that market is embedded in the larger New York market. And rather than testing whether or not the privatization of Clear Channel might allow WALK-FM’s grandfathered status to continue, Clear Channel is opting to make its license transfers as smooth as possible, shedding several stations around the country that are in the same ownership bind as WALK-FM. But WALK-FM won’t go at a fire-sale price. As the dominant AC station in a lucrative suburban market, and as one of only two Class B FM signals that reach the entire Nassau-Suffolk market, we’re hearing that the price tag on WALK-FM is somewhere north of $100 million (with a few bucks in there for the AM operation as well) – and that there are already interested buyers, including at least one former owner looking to re-enter the region. In Buffalo, it’s the end of the line for Air America and the rest of the progressive talk format at WHLD (1270 Niagara Falls). Niagara Independent Media, which leased WHLD’s airtime from Citadel beginning in early February to carry its talk lineup, says it couldn’t keep the station afloat. In a message posted to the WHLD website Sunday night, station founder Brian Brown-Cashdollar wrote, “Start-ups face a huge up hill battle to get established, and it’s almost unheard of for a start up to launch a station with a format as expensive as the news/talk format.” Niagara Independent Media had been leasing time on WHLD to broadcast “Democracy Now” before launching the full-fledged format, and the show will continue to be heard there on weekday afternoons at 1, in addition to a morning airing on sister station WBBF (1120 Buffalo). What now for WHLD? Expect a return to the leased-time ethnic programming that had been heard there before February. As for progressive talk in Buffalo, it continues – for now – on Entercom’s WWKB (1520), which has a lineup with no Air America content, instead using several Jones Radio hosts and “local” (albeit broadcasting from Los Angeles) talker Leslie Marshall. But Brown-Cashdollar says WWKB is considering dropping the format, too. He’s asking former WHLD listeners and advertisers to contact WWKB with offers of support. Sports talk is coming to Albany’s FM dial today, as Regent continues to shuffle its Capital District radio lineup. With hot AC “Buzz” successfully transplanted to the new WBZZ (105.7 Malta), its former home at WABT (104.5 Mechanicville) will flip today to ESPN Radio, picking up that format from Regent’s “Team 1300” WTMM (1300 Rensselaer). What next for the 1300 signal? We’re hearing a strong buzz (or is that the wrong word?) that Greenstone Media’s new female-oriented talk format could be coming to the AM side early in 2007. 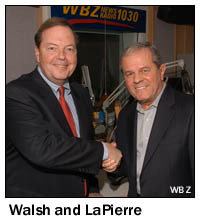 New WBZ (1030) morning host Ed Walsh made his on-air debut at the station last week, appearing with Gary LaPierre as part of the transition from LaPierre’s four-decade reign in morning drive to Walsh’s debut January 2. LaPierre’s sign-off from morning drive will take place December 29, and we’ll be listening. Speaking of sign-offs, tonight will mark the finale of “The Ten O’Clock News” on WLVI (Channel 56), ending 22 years of prime-time news from Morrissey Boulevard, and putting 150 people out of work as the station changes hands from Tribune to Sunbeam, which will launch a new 10 PM newscast produced by WHDH-TV (Channel 7) on Tuesday. The last word from Morrissey Boulevard, after anchors Karen Marinella and Frank Mallicoat say their farewells, will come from commentator Jack Hynes, who was WLVI’s 10 PM anchor for most of its news history. When the CBC went up for license renewal last year, it promised the CRTC that it would make big improvements in the distribution of its “chaîne culturelle” French-language radio service (the equivalent of the English-language Radio Two.) Now the Corporation has filed a whole slew of applications for new “chaîne culturelle” transmitters across Canada, fulfilling its promise to bring the service to each provincial capital. The applications include transmitters in Regina, Saskatoon, Edmonton and Calgary out west, adding to the already-licensed service in Winnipeg and (not yet on the air) in Vancouver. One of our favorite specialty shows in MASSACHUSETTS has changed radio homes yet again. Barry Scott’s “Lost 45s” made the move to Infinity’s Oldies 103 (WODS 103.3 Boston) this past Sunday, airing from 7-11 PM weekly. That’s the good news; the bad news is that Little Walter’s Sunday night show featuring 50s oldies has been pulled from the WODS schedule again. Scott’s show has made nearly the grand tour of the Boston FM dial, having started years ago on the noncommercial side (at WERS, if we’re not mistaken), with stops along the way at WBOS, the former WEGQ (now WQSX), WBMX and most recently at WROR. There was big news on the AM dial in Boston, too; Eddie Andelman and WEEI (850 Boston) parted ways after a run there that lasted more than a decade. Andelman was part of the original all-sports format that debuted on WEEI, then on 590, in the fall of 1991. (Before that, he had been with the old 850, WHDH, for more than a decade; he would return to the 850 dial position when WEEI moved there in 1994.) What’s next for Andelman? The hot rumor has him moving to the Sporting News Radio outlet, WWZN (1510), where he might face off against Dale Arnold, who co-hosted the 10 AM to 2 PM “A Team” show with him for six years and continues solo in that slot on WEEI. Any such move isn’t likely to take place until next March, when Andelman’s WEEI contract expires. There have also been rumors about interest in Andelman from FM talker WTKK (96.9), which has been taking on more of a sports focus lately; that seems more plausible than suggestions that Andelman could land at WBZ, which doesn’t have a hole in its weekday schedule for sports talk. Boston’s “Business 590,” WBNW, ended a two and a half year broadcast run Sunday night at 11:57, in the most inconspicuous way possible. Just seconds into a Bloomberg network feature, the audio faded down and was replaced by the programming of Salem’s WEZE (1260). To the strains of the Doobie Brothers’ “Jesus is Just Alright,” the new “Family 590” presented a short montage of its programming and a welcoming message from the program director. Once the simulcast between 1260 and 590 ends, and the WEZE calls officially shift to 590 (which is still legally WBNW for now), 1260 will become “Praise 1260,” running Christian contemporary music. Ridgefield, Connecticut’s WREF (850) is about to be sold. Owner Arthur Liu called a staff meeting last Friday to announce that the entire staff was being fired, and that starting December 30, WREF will be operating under an LMA with WLAD(AM)/WDAQ(FM) in neighboring Danbury. WLAD/WDAQ’s owners, Berkshire Broadcasting, will eventually buy WREF from Liu. In the meantime, word has it WREF will be simulcasting WLAD’s programming. An NERW excursion to Hartford, Connecticut over the weekend turned up a most unusual unlicensed operation. “Praise 105.3” is one of the slickest pirates we’ve ever heard, complete with professional-sounding liners and promos…and an all-gospel format! The signal strength seemed to place the station somewhere north of downtown, but obviously with at least several hundred watts of power, since its stereo signal could be heard throughout the metro area. We heard it east as far as Vernon, north to Windsor, and south to Newington. Anyone know who’s behind this station? Also heard running unlicensed was an 87.9 in downtown Hartford, apparently running just a few watts and rebroadcasting home shopping television programming. Elmo Mania Grips Hub: That furry red giggling fellow is being auctioned by several Boston stations. WROR (105.7) already unloaded its Elmo, for $3000. WEGQ (93.7) auctioned an Elmo on the air last Friday morning. And over at WBZ-TV (Channel 4), there’ll be an Elmo for auction during tomorrow night’s Childrens Hospital Telethon, courtesy of sports guy Bob Lobel. Here at NERW, we much prefer the promotion being run by WXBB (105.3 Kittery, Maine). This station is inviting its listeners in the Portsmouth NH area to bring in their unwanted fruitcakes…and launch them into the air from a catapult! (or perhaps a “fruitcake-a-pult”?) Listeners will be judged on accuracy, distance, and style. Perhaps the logical conclusion of all this should be the “Elmo-pult”…. I noticed that the owner of classical WCVT-FM in Stowe, VT also owns a country station with the call letters WLVB. WCVT and WLVB should SWAP call letters: the pre-eminent classical composer Beethoven’s full name of course is Ludwig van Beethoven: LVB. (LVB is also Steinway Music Instrument Corporations NYSE Stock Symbol (sorry Chopin, Liszt and Rachmaninoff). It’s a natural. Do it.